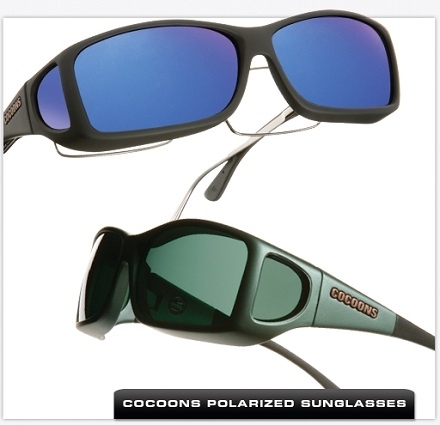 Cocoons OveRx sunglasses are designed to be worn over your prescription glasses. To achieve the perfect fit that is both comfortable and secure, you need to find the size that most accurately fits your eyewear. It is important to find the correct size, or you may not experience the full benefits enjoyed by millions of Cocoons owners worldwide. Hold your glasses face down on the full scale images of each Cocoons sunglass size. If your glasses fit inside the red guidelines, then you can wear that size. If the width or height of your glasses extends outside of the red box, then you will need to try the next larger size.